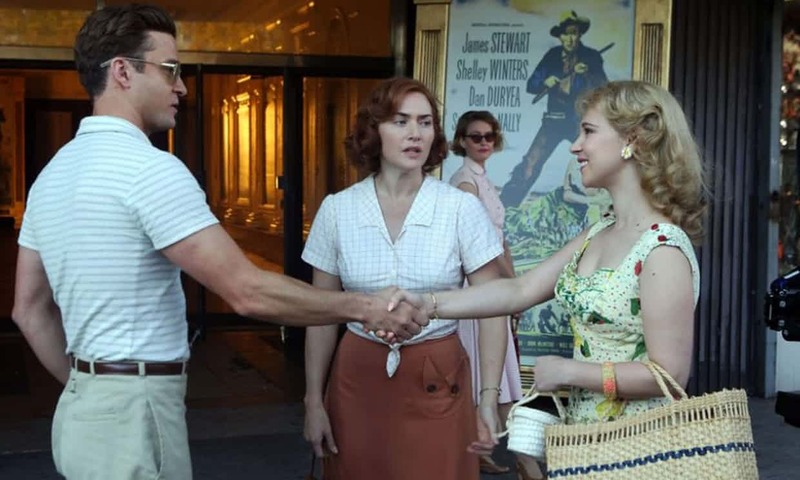 WONDER WHEEL is no BLUE JASMINE, but it's still far better than the mediocre rote films that we've come to expect from late era Woody Allen, elevated by a superb performance by Kate Winslet, in one of her now trademark performances as a disappointed weary middle-aged woman. She plays Ginny, wife of the man (Jim Belushi) who runs the Coney Island ferris or wonder wheel. She has a mid-life crisis affair with a younger aspiring playwright and lifeguard called Mickey played by Justin Timberlake. This allows her to indulge her nostalgia for her aspirations to being an actress in her youth - but also self-consciously to act. She rehearses telling him that she's older and married. She claims that her real life as a waitress is performative. The meta-layers of performance - of being alienated from reality - are heart-breaking. The heart-break is compounded because we know that the affair means far less to Mickey than to Ginny, as is evident when he starts seeing Ginny's stepdaughter Carolina - a fragile and vulnerable girl played by a superb and much under-rated Juno Temple. Its here that the movie suffers - with the Pygmalion attempt at education of Carolina by the pretentious Mickey and the usual Allen moral lassitude for men who go with their dicks lead them. But the film recovers remarkably in its final act - reminiscent of CRIMES AND MISDEMEANORS - featuring a tour de force scene from a drunk and delusional Ginny as she is confronted by Mickey and then her husband. This film is worth watching for Vittorio Storaro's candy coloured, sunlit orange photography and the period costumes alone. Woody Allen's crowded claustrophobic Coney Island and the wonder wheel become oppressive despite their beauty. Altogether there's something almost Sirkian and expressionist about the way this film is shot that matches Ginny's conception of herself as being in a melodrama. WONDER WHEEL is rated PG-13 and has a running time of 101 minutes. The film is on global release.